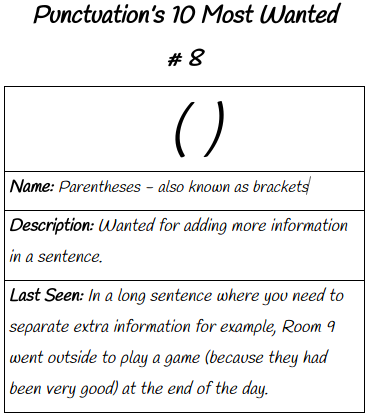 This is my punctuation most wanted I had to do. My punctuation was a Parentheses. I didn't know a bracket had another word. A Parentheses is a new word to me.